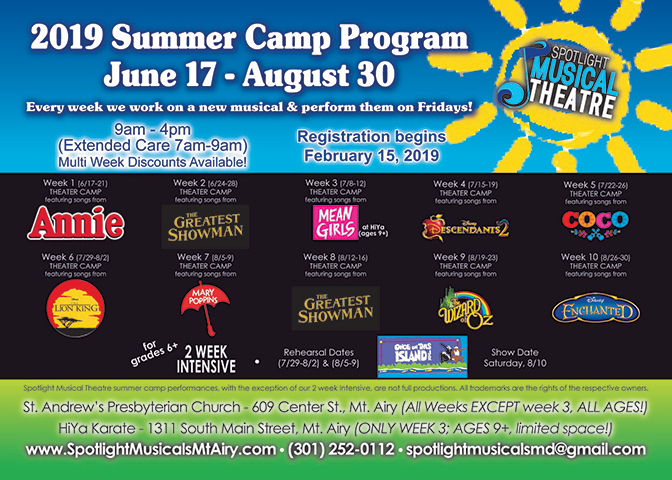 Musical Theatre Summer Camp Program for Kids and Teens, located in Mt. Airy! 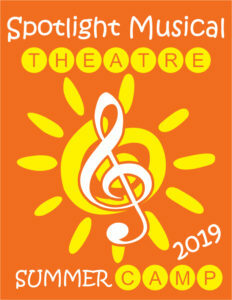 In addition to our seasonal productions, SMT provides a musical theatre program throughout the summer. Every week is individually themed and has a small showcase on Friday. Pick a few different weeks or stay all summer…all while learning to sing, dance and perform, while making friends and enjoying a memorable experience! (near Watkins Park) and is for ages 4 and up. 1311 South Main Street, Mt. Airy and will be for campers ages 9 and up. Week 3 – Mean Girls – SUMMER PROMO – now just $135 for the week! If you would like to be placed on our waiting list, please fill out the registration form below but do not submit payment. We will contact you if a spot opens up in the week that you are interested in. Your camper will be placed on a waiting list until payment is received. Please complete your registration by filling out the form below, in its entirety, then click “SUBMIT” before you proceed to Paypal. PLEASE BE SURE TO CLICK SUBMIT ON THE GOOGLE FORM BEFORE YOU PROCEED BELOW. You may mail us a check to Spotlight Musical Theatre at 1303 Longbow Rd. Mt Airy MD 21771 or you may proceed below to pay via PayPal. If you would like to be placed on our waiting list, please fill out the registration form above but do not submit payment. We will contact you if a spot opens up in the week that you are interested in. What days for morning care?